As I was putting up my Christmas Tree, I realized it was WAY too bare. Me, being my normal cheap self, needed to create a cheap, fun way to decorate my Tree. And so I did. 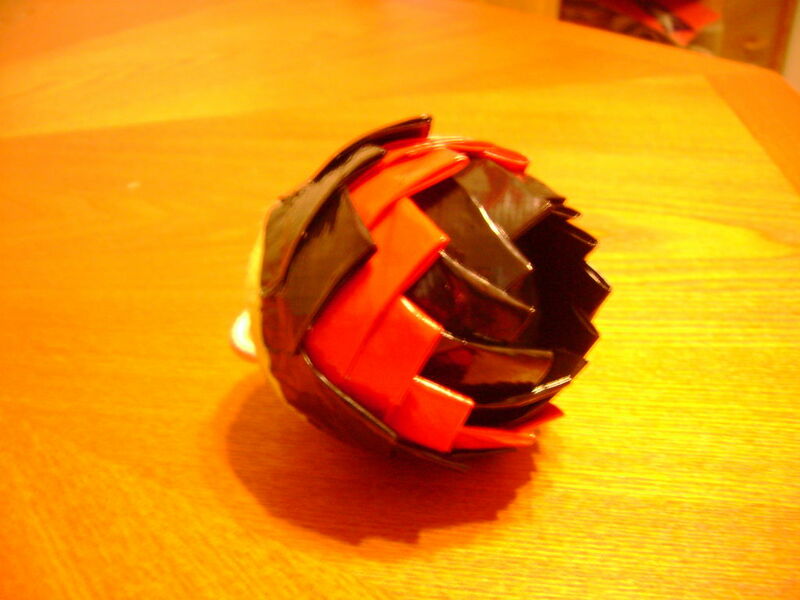 I introduce to you, the Duct Tape Ornament. And the great thing about it, is that you can find some use for it during all the seasons, maybe as a door knob thing, or maybe you just choose to keep it as a seasonal thing. Start off by cutting around Six(6) inches of yarn to use as the hanger. 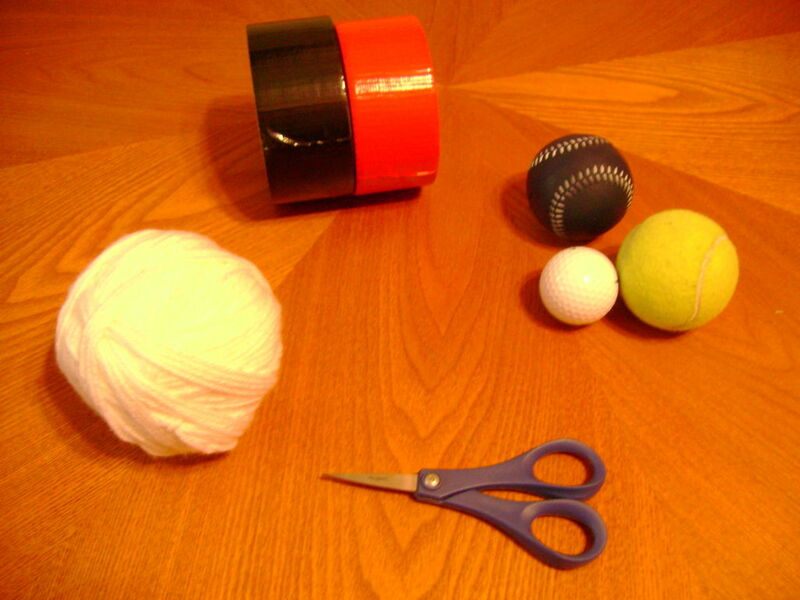 Simply tape the yarn to whatever side you choose to be the top. 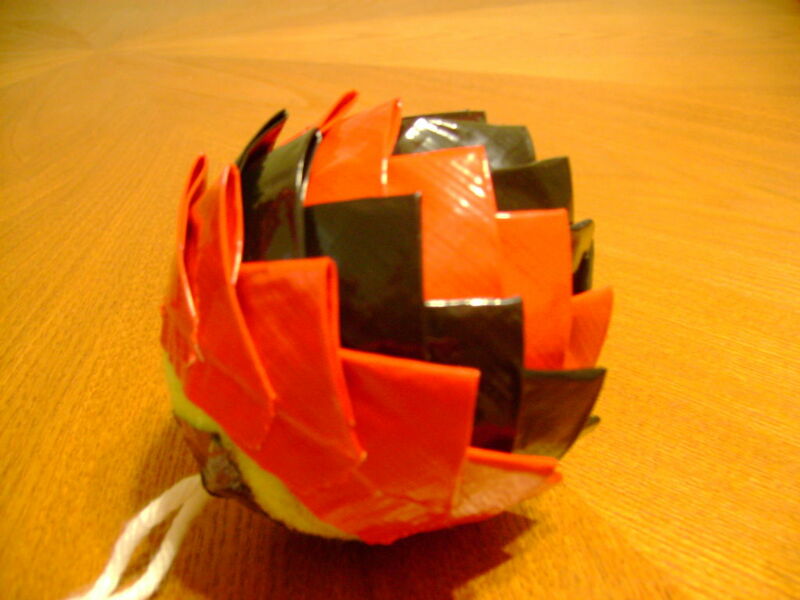 Now, to design the ball the way I did, I used the same technique used with making Duct Tape Roses. Simple make, yet creates decent designs. 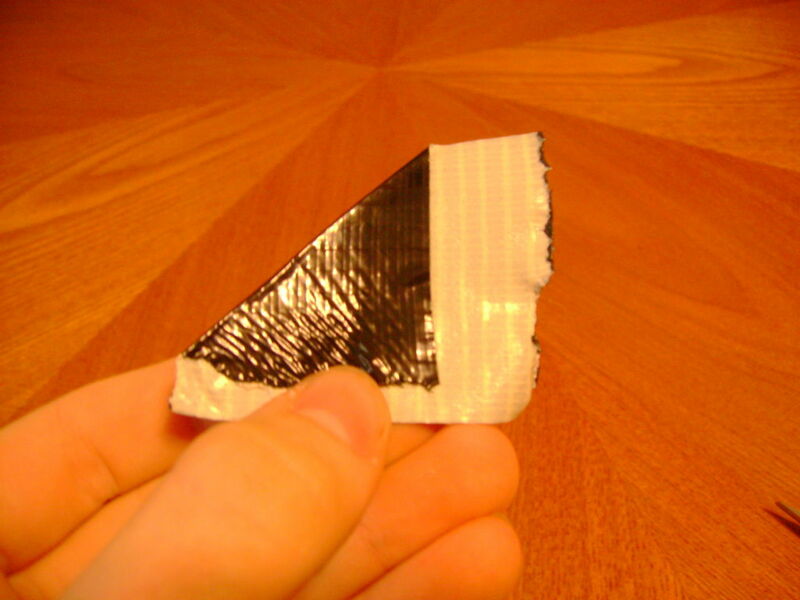 Start by taking some duct tape around Two(2) inches, or whenever it mostly looks like a square of tape. 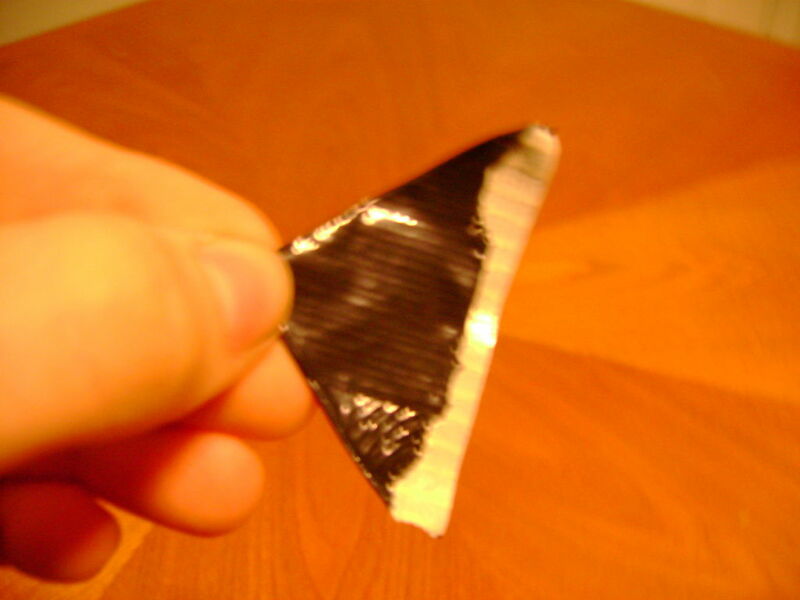 Fold end over on end which gives you a triangle look with tape at the bottom. 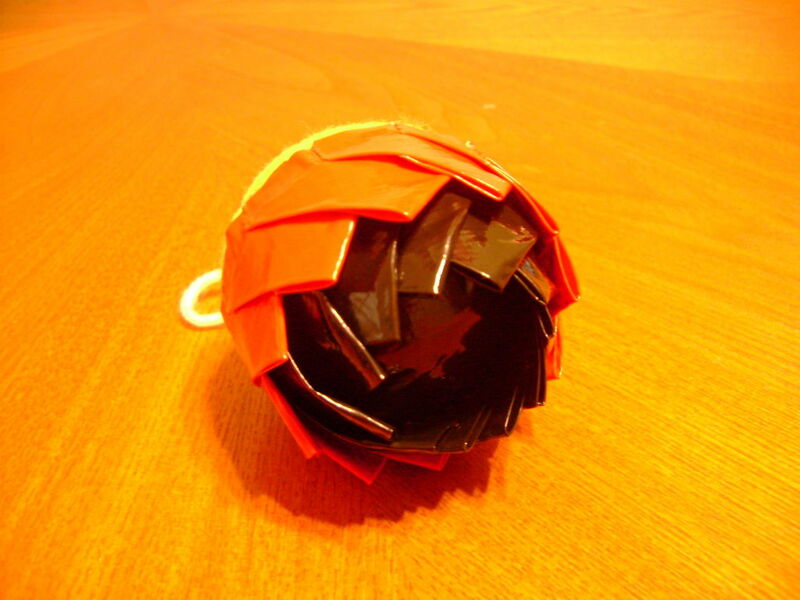 Starting from the bottom, start ringing around the ball with the triangle shapes. I did mine by levels, alternating colors as I went up. When you are going up on the levels, keep making the same amount of triangles, because you will begin to think that you can't fit them all as you keep going up, but you can. It looks better if you do that anyway. 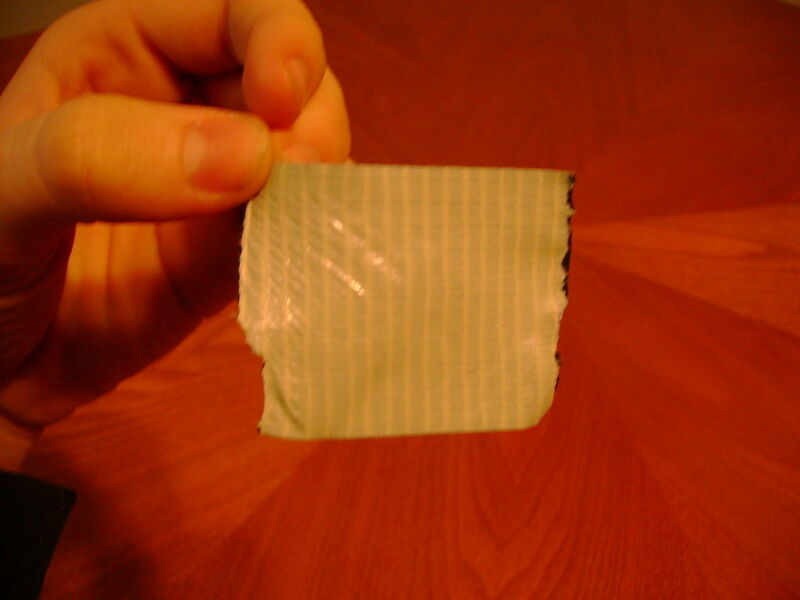 Basically, whatever color you end on, just apply that color tape around the hanger in small bits of tape. Be sure not to leave any places that don't clean up well. 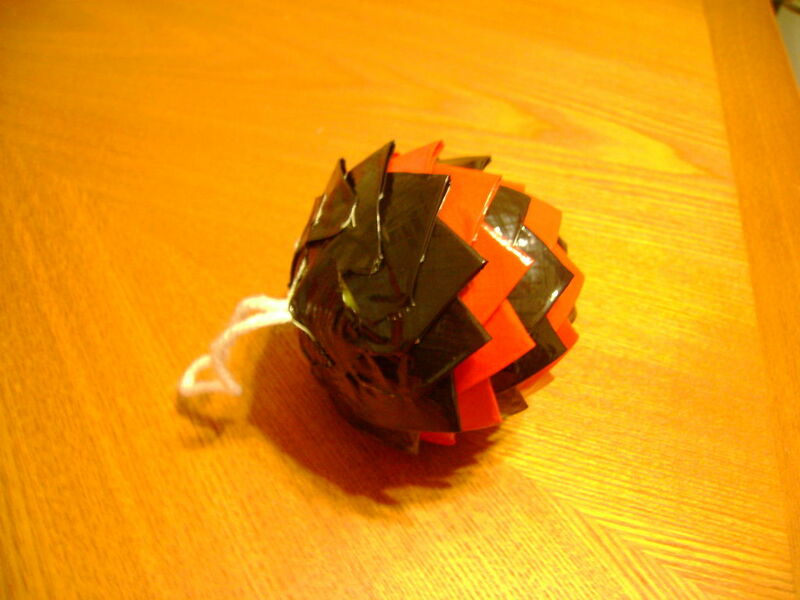 What ever you choose to do with your newly made Duct Tape Ornament, have fun with your design. I showed you how I made mine, but I'm sure any of you could easily improve the design. GET CREATIVE! 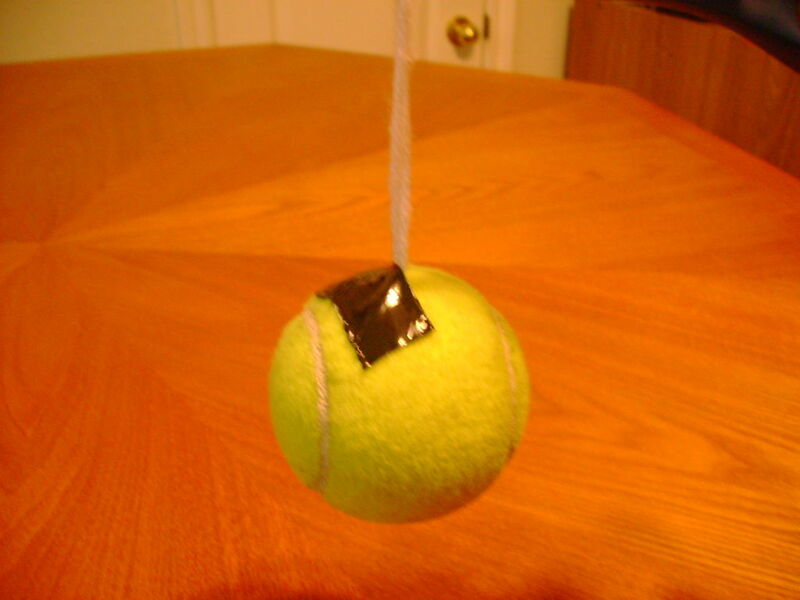 This can even make a great gift because you can even you it as a Ceiling Fan Pull Chain ball, or put it on your door, or maybe even just make tons of them and tape them to your bedroom ceiling. After I put my tree up this year, I'm putting mine in my office, so even YOU can multiple uses for it. But the fact remains, this is just pure awesome. Get Out There and Show The World Your New Talent!!! 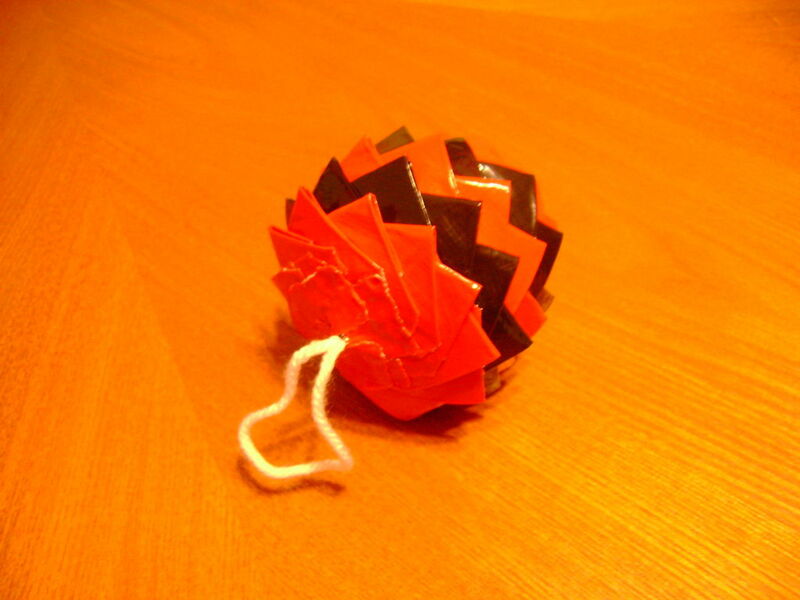 What could I use instead of a heavy ball? 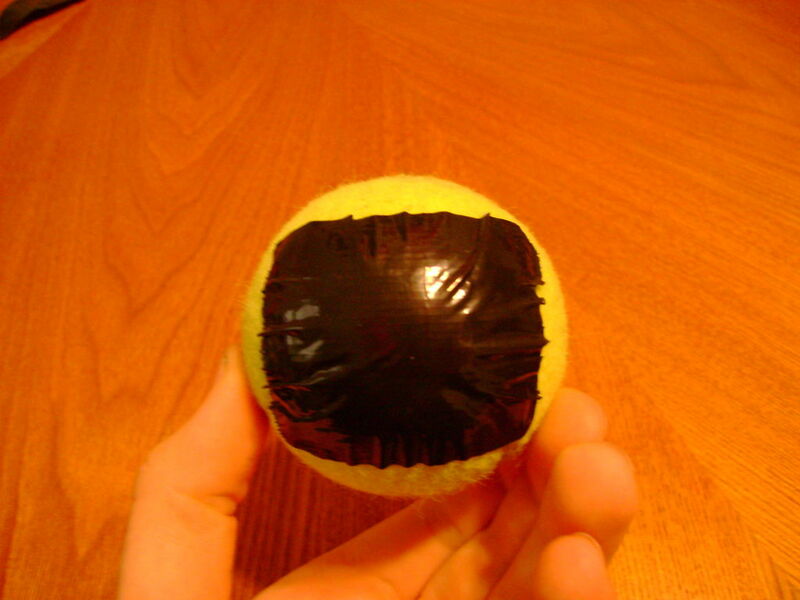 maybe a foam ball? 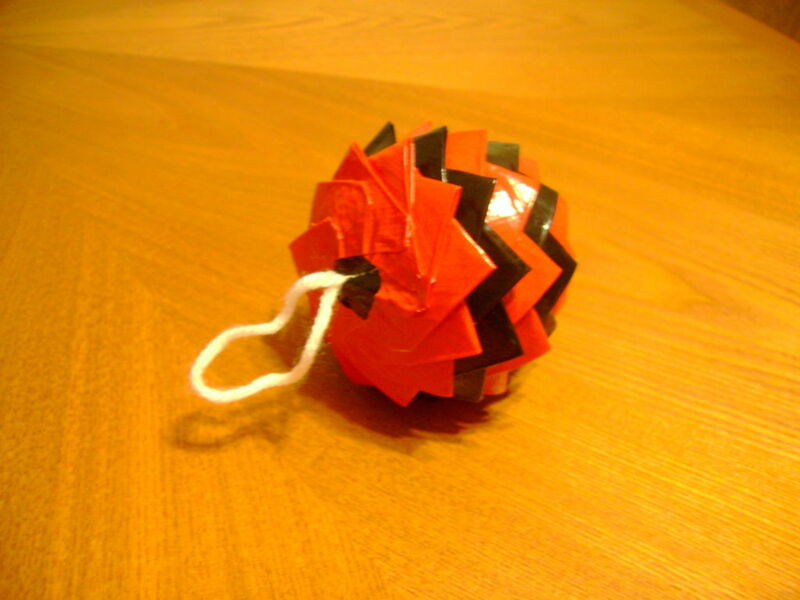 I was thinking of just scrunching paper into a ball and try it like that. 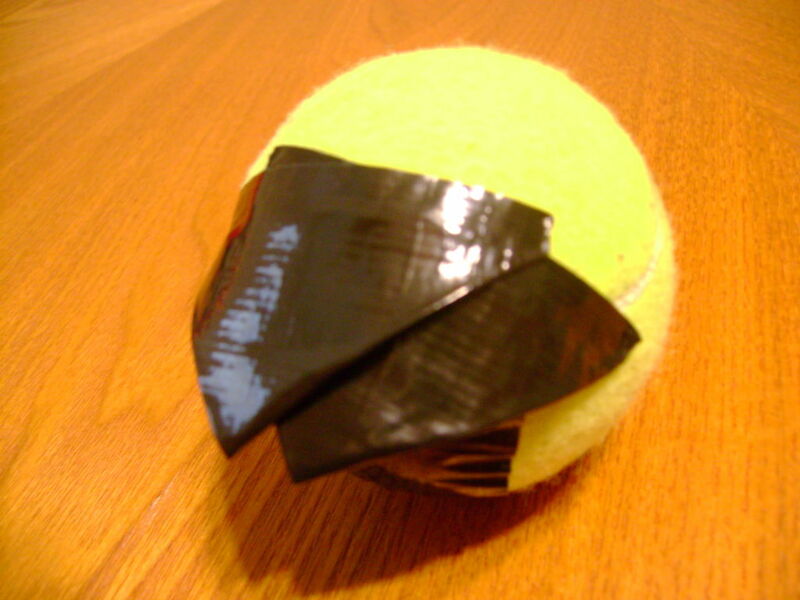 Maybe tape the paper ball tightly first to keep the shape. aslfjsadtgasf awesome. No fair, fueling my love of duct tape. My girlfriend is gonna start questioning me every time I buy a roll now... Like it's some kind of addiction. wow! this is reli creative! <3 it!